D-Link, the end-to-end networking solutions provider for consumer and business sectors, today reportedly introduced a powerful Wi-Fi N pocket router to its lightweight multi-function wireless pocket router portfolio. The D-Link Wireless N Pocket Router/Access Point (DAP-1350) incorporating multi-mode functionality supports the use as a wireless router to create an 802.11n Wi-Fi network or as an access point to add Wi-Fi to an existing wired network for connectivity on the move. Reportedly, the device could also be used to connect an ethernet-ready device, such as a desktop PC or Xbox 360, to a Wi-Fi network for enhanced flexibility and convenience. The DAP-1350 is said to be very compact and lightweight that easily fits into a travel case. Thus, it is convenient enough to carry around and purportedly easier to setup or share an Internet connection or add Wi-Fi to an existing wired network in a conference room, hotel room or anywhere a Wi-Fi network is needed. While operating in wireless client mode, the router reportedly supports power over USB to charge or obtain power through a PC, when the main power is not accessible. The D-Link Wireless N Pocket Router/Access Point is purportedly equipped with multiple intelligent antennas to optimize the speed and range of the wireless signals that could significantly outperform previous-generation Wireless G devices. These internal antennas reportedly serve to bounce wireless signals off walls and ceilings to work around obstacles and help eliminate dead zones. Wi-Fi N is rated to be capable of transmitting data up to 5-times faster than wireless G at longer distances. The DAP-1350 built with 802.11n technology, apparently delivers powerful performance and offers the latest wireless security features with WPA and WPA2 encryption technologies to help prevent unauthorized access. It is reportedly equipped with a simple WPS push button to easily add devices and secure the network. Additionally, it is said to incorporate the SharePort Technology, which allows sharing of a USB printer or storage when in router mode. 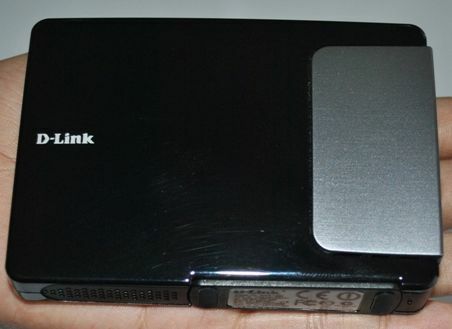 D-Link DAP-1350 is said to be currently available through leading Electronic retail chains present across India at an estimated street price of Rs. 5999/- & also carry 1 year warranty. D-Link DAP-1350 presumably ships along with a compact travel pouch containing a CAT5 ethernet cable, USB power cable4 and power adapter. best wireless router under 3K?